Hello everyone! 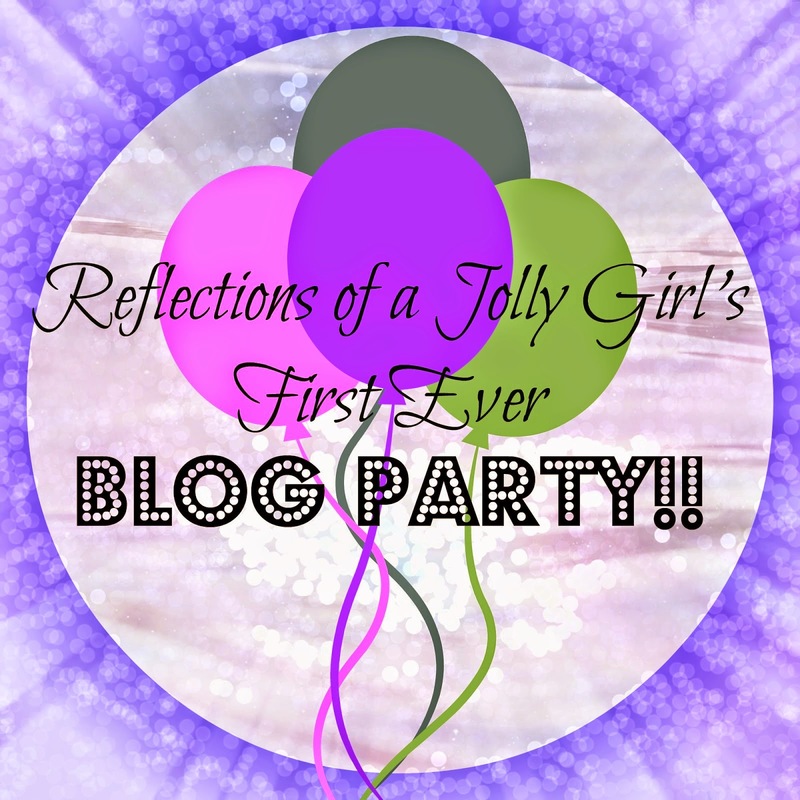 Today I will be participating in Jollygirl's blog party! Let's get right into the post. The font name for my header was "A Little Sunshine" and I thought that name was cute so I did my own little twist on it. Wow, real original Noor. 2. Favorite party snack? Why? Cookies because they are amazing and um yeah, I don't need anymore of an explanation. 3.What type of chocolate is your favorite? Milk, dark, white, or other? Milk or dark, it depends on my mood. I wouldn't say this was my favorite memory but when I went to Disney World with my cousins. We joked around, played pranks on the characters, and had loads of fun. 5. What is your favorite post that I have published on this blog? Eh, can I do top 3? They would have to be: this photoshoot with Alisha, this sewing craft on fabric weaving, and this Why I Blog post. Gold and mint are my favorite colors. Thanks for starting this Jollygirl, it was fun! I am currently planning something huge for my blog anniversary so get ready! It starts the 31! Thanks so much for participating Noor! If you would like to, you could also ask me a few questions for my Q and A! I love your answers! Cookies rule! BTW, I did your survey, and I replied to your comment on ameliebarham.com!